Welcome to a truly enriching life at the most elegant and enchanting address in Chennai. Prestige Courtyards located in Shollinganallur on the Old Mahabalipuram Road christened as Chennai IT corridor is a well-planned contemporarily designed residential community with high quality of well evolved Civic & social support infrastructure in close proxim. Prestige Courtyards an enclave of brilliantly planned neo Urban Homes designed in compliance with Vaastu principles to provide an extremely comfortable, peaceful & convenient urban life. A rest of its kind development in Chennai, with expansive Courtyards in most of the tower, connected by a broad celebratory walk ways which are free from vehicular movements & enhance the opportunities of neighbourhood socialization. And a lavish clubhouse that presents a plethora of luxury lifestyle amenities to keep your leisure hours well occupied in camaraderie with your dear & near ones. Read & discover how you can transcend your life in a Home that answers your every need of a quality living space. Elegant ground floor lobby flooring and wall cladding in Granite/ marble. Upper floors lobby flooring in Vitrified tiles. Suitable size capacity of Passenger and Service lifts in every block of suitable size and capacity. Ceramic/Vitrified tile flooring and skirting in the foyer, living, dining, corridors and bedrooms. Vitrified tiles for the flooring. Vitrified tiled flooring and ceramic dado in the utility. Ceramic tile flooring for the maid’s room and toilet. Anti-skid ceramic tiles for the flooring and ceramic tiles on walls up to the false ceiling. Master toilet with granite counter and counter top ceramic wash basin and Pedestal wash basins in other toilets. Suspended pipelines in all toilets concealed within a grid false ceiling. Main Door – 8 feet high opening with flush shutter, frame in wood, polished on both sides. Other internal doors, 7 feet high openings with laminated flush shutters. Track UPVC framed windows with clear glass and provision for mosquito mesh shutters. 2 KW power will be provided for a single bed apartment. 3 KW power will be provided for a double bed & double bed with study room apartments. 5 KW power will be provided for a three bed apartment. TV and Telephone points provided in the Living are and all bedrooms. Split AC provision in the living area and all bedrooms. What is Prestige Courtyards all about & where it is located? What are all the Social Support infrastructure in and around Prestige Courtyards? Prestige Courtyards is located in the well-developed & renowned neighbourhood of Classic Farms in Shollinganallur which is in very close proximity to many established market places, International Blue Chip & IT Companies, reputed educational Universities & Institutions, leisure & entertainment Zones. • Apollo Multi specialty (9km). What is the total land extent of the Prestige Courtyards project? 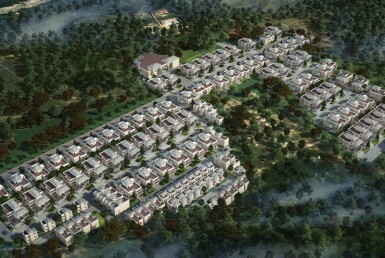 Prestige Courtyards is spread over a total land area of 11.32 acres which includes the Open Space Reserve (OSR). How many Towers are there in Prestige Courtyards in total & how many floors does each tower has? There are 11 residential towers and each tower is of Ground + 3 floors structure with a combined basement reserved for car parking. How many Units are there in Prestige Courtyards? 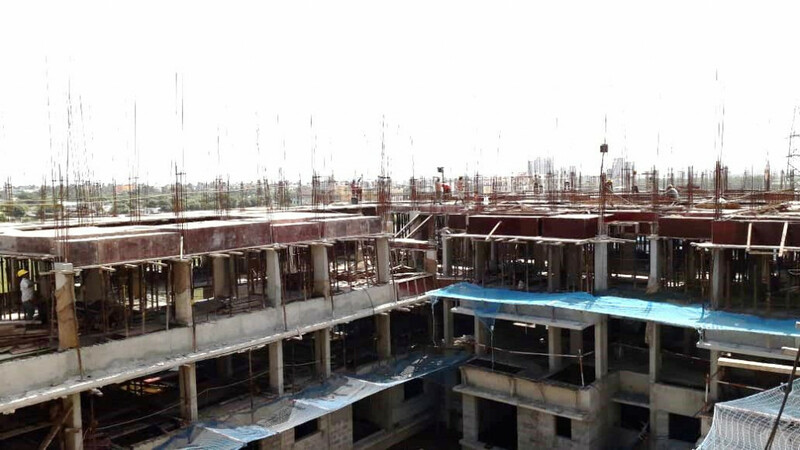 What will be the sizes of the apartments in Prestige Courtyards? 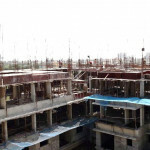 What is the expected time for the completion of Prestige Courtyards? 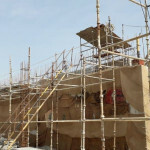 Expected time of completion of construction is 48 months from the date of commencement of construction till the submission of application to statutory authority concerned for awarding the Completion Certification (CC). How do I book my dream home at Prestige Courtyards? Booking your home at Prestige Courtyards is a simple two-step process. Step 1: Fill in the Application Form with all the relevant details in full. Step 2: Enclose the booking amount DD/Cheque favoring Prestige Estates Projects Limited along with requisite documents for identity proofs like Pan Card, Aadhar card &Photograph(s). Is there a Show Home that I can take a look at? Yes, we have made fully furnished Show Homes of 1, 2 & 3 BHK type units. You can have a complete walkthrough of these tastefully designed Show Homes at close quarters to get a fair idea of the ways your dream home at Prestige Courtyards could be furnished once you book your Home with us. Yes, we do arrange for Site visits only for Senior Citizens on prior appointments based on genuine reasons attached to the individual’s mobility. The booking gets confirmed once you sign up the agreements viz, Agreement to Sell & Construction agreement by paying 10% of the Sale consideration of the unit, deducting the Booking amount paid, along with applicable Government taxes. As per the rule laid by the Government of TamilNadu it is mandatory to register the Construction agreement within 45 days from the date of booking. The individual Home buyer has to bear the applicable stamp duty & registration charges. The Sale Deed registration of the Undivided Share (UDS) will be done upon the receipt of 100% payment including all the additional charges, applicable statutory taxes from the respective Home buyer as per the payment terms & schedule mentioned in the agreements and the completion of the construction of the unit whichever is later. All statutory charges like prevailing stamp duty, registration charges & any other incidental expenses are to be borne by the customer. 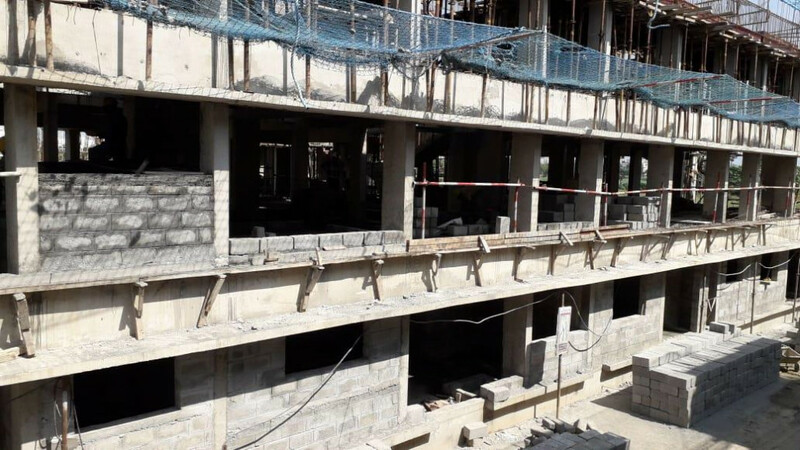 Has Prestige Courtyards obtained all statutory clearances & approvals from the Chennai Metropolitan Development Authority (CMDA)? Yes, Prestige Courtyards has been approved by CMDA. Is Prestige Courtyards (PCY) is registered in Real Estate Regulatory Authority (RERA)? How are the installments to be paid? Installments have to be paid as per the payment milestone dates prescribed in the cost sheet given to you at the time of booking. We follow a time bound quarterly payment schedule. The payment schedule agreed at the time of booking forms an integral part of the Sale & Construction agreements as an annexure. Has Prestige Courtyards been approved by major Housing Finance Institutions (HFIs)? Yes, Prestige Courtyards has been approved by all leading HFIs. We will fully assist you in dealing with those HFIs who are empanelled with us. As far as non-empanelled HFIs are concerned we will hand over to you all the necessary documents pertaining to Prestige Courtyards, it will then be your responsibility to get the Home loan approved from the HFI of your choice and to ensure the timely disbursals of the payment to us as per the payment mile stone dates mentioned in the agreements. Yes, you can make 100% down payment. The discounts will be calculated only for the stages of payment which are due to be realized/invoiced at the time of your booking. Why would you want to miss out such an unprecedented product offering! However, if you do cancel your booking then 2% of the sale value will be forfeited as a cancellation fee along with the brokerage fee, if any, and the balance will be returned to you without interest. Please note that applicable GST will be charged on the additional charges except Corpus fund. What is the monthly maintenance charge? The monthly maintenance charges are pegged at the rate of Rs.3.50/sft/month on the total saleable area of the unit for first year (12 months), and it will be applicable from the date of handing over of the Home or upon the intimation sent to the Home buyer soon after the Home is declared ready whichever is earlier. From the 2nd year onwards it will be levied quarterly in advance. Is there any membership charge for Club House? Yes, there will be membership fees for the clubhouse. What are all the amenities & facilities provided in Prestige Courtyards? At Prestige Courtyards, you will enjoy a hosts of indoor & outdoor lifestyle amenities and facilities like a lavish Club House with outdoor Swimming pool & Kids’ pool, fully air conditioned & well equipped Gymnasium, Mini Theatre, Party Hall, Jogging & Cycling tracks, indoor sports, kids play area & Relaxation Courts for elders. What about Security arrangements to ensure safety for individuals & society? Prestige Courtyard is a gated community with round the clock security arrangements like CCTV surveillance installed at appropriate areas. Efficient security post at the main entrance and exit gates restrict the thorough fare. 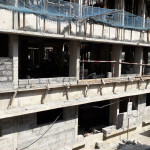 Prestige Property Management and Services (PPMS) will take care of the maintenance for the first three years after the formation of Association. PPMS is a pioneer in managing building services and has 20 years of expertise on Preventive Electrical Maintenance, Environment friendly Initiatives, maintenance of Swimming pool, all kinds of treatment plants and vigilant Security. Will there be appropriate positions/provisions earmarked in the apartment for installing the Air conditioners, Chimneys etc.? All common areas and utilities will have 100% power back up. Customisation will not be permitted since the specifications and design have been carefully worked out. Water supply will be obtained through available ground water resource & government supply if available. A water treatment plant, rain water harvesting mechanism and other methods to optimise the storage of water are also planned. The price list is subject to change from time to time as decided by Prestige Estates Projects Limited.